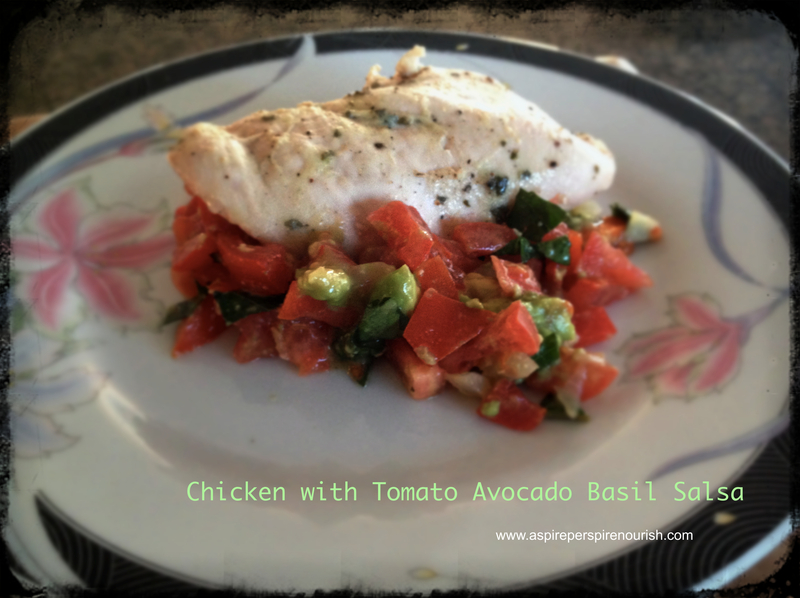 Make your taste buds happy with this fresh and simple chicken and salsa recipe. The basil gives the salsa a different flavor from the traditional salsas that call for cilantro. Whisk olive oil, lemon juice, dried basil, Dijon mustard, and pepper together. Marinate chicken breasts in the mixture and refrigerate for at least 1 hour. To make the salsa, chop the onion and saute briefly for 2-3 minutes in a dab of olive oil. For those who like raw onion, skip this step and add the onion raw to the mixture. Chop tomatoes, avocado, bell pepper and add to onion. Add lemon juice, fresh basil and salt and pepper to mixture. Let salsa rest in refrigerator for at least 1 hour. Bake chicken in 400 degree F oven for 30 to 35 minutes. Serve chicken on top of scoop or two of salsa.